Practical shooting is for all, but you need to invest your time and money for this sports. You need first your pistol at any caliber you like and can afford plus the ammunition both for target practice and main shooting events. Unlike the Pros (Competitive Shooters) who regularly visit the range for shooting practice, Most media shooters (like me) can only practice if there’s availability of ammunitions and most of the time, we just do some dry fire exercises before joining any official shooting event. Come what may, I always invite every media practitioner to engage in practical shooting for sports and self-defense (protection). Take note the surveys and researches being conducted that mediamen in the Philippines are always at risk in the performance of journalism profession. You can join the PPSA Media Bureau under the supervision and all-out support of Philippine Practical Shooting Association (PPSA) kudos to Mr. Jack Enrile, Mr. Rommel Cabungcal, Ms. Jingky Olisco and Mr. Joseph Li of Icarus Shirts. PPSA Media Bureau is headed by top media shooter and manager Raoul Esperas and other members/officers: Orly Trinidad, Angelo Almonte, Toto Parina, Carlo Mateo, Walter Bollozos, Ferdie Pajarillo, Dindo Amparo, Raymund Dadpaas, Gerry Baja, Jojo Sadiwa, Gil Bugaoisan and me. Watch!!! Philippine Media Shooters in ACTION!!! This Level 2 PPSA Sanctioned Match has many plates to hit. I really enjoyed this historic 1st FPJ Cup 2017 organized by Actors Guild of the Philippines (Kapisanan ng mga Artista sa Pelikula at Telebisyon KAAPT) to raise funds for the welfare of people in the Philippine movie industry. This is a special tribute to ‘Da King’ of Philippine movies, Fernando Poe Jr., who served as the President of the guild from 1984-1987. I have to prepare more than 200 rounds of ammunition to complete the 7 stages of the competition under Media category with my Glock 22 caliber .40 pistol. This shooting event is participated by the journo members of the PPSA Media Bureau, to promote sports shooting among media practitioners in the Philippines not only for defense against any threat but primarily to be physically active and maintain a good health. Luckily, I got the 1st Runner-up Award competing fellow media Shooters in the Standard Division. Thank you sir Jack Enrile, Mr. Rommel Cabungcal and Jingky Olisco of Philippine Practical Shooting Association (PPSA) for the waived registration fee of media shooters and Mr. Joseph Li of Icarus shirts. November 26,2017 This is a first time practice shoot at Eastridge Firinng Range in Binangonan, Rizal. Outdoor shooting is still the best compared to indoor to avoid too much inhalation of gun powder smokes, reduced exposure from gun loud noise and honestly, I love greens – forest and vegetation. Definitely, I`ll visit again Eastridge firing range for future shooting events. Thank you for the invitation, shooting brod Raoul Esperas, Marikina Valley East Ridge Shooters and Rizal Gun Clubs. Maraming salamat din sa patuloy na suporta Philippine Practical Shooting Association (PPSA), Rommel Cabungcal, Jack Enrile Jingky Olisco and Joseph Li of Icarus Shirts. A good opportunity to shoot using my Glock 22, Cabiler 40 pistol. 5 Stages. PPSA Sanctioned Level 1. 1st Jetro Shootfest in Dasmariñas, Cavite, Philippines. Rey T. Sibayan here reporting and back to posting my blogs. First., my sincerest apologies to everyone for not posting anything on almost 3 years since my last post in April 2014. Second, I’m back! Here we go and ready to share some insights, photos and videos on my day-to-day living. Of course, I will just post those interesting stuff. Right now, I am sharing my participation in the Jack Enrile Cup 2017 last January 29, 2017. This was my first practical shooting event for 2017. When I say participation, that means no intention of competing with the pros in practical shooting but to just feel the excitement of running the courses of fire designed for team recognition for the upcoming World Shoot XVIII in France. As expected, I made my ‘run’ on extreme courses of fire – 8 out of 15 stages Level 3 PPSA sanctioned match in Tierra Del Fuego Firing Range , Splendido Taal Residential Golf & Country Club, Laurel, Batangas. Next Practical Shooting event will be on February 24, 2017 in the PAF-Media Fun Shoot with fellow media shooters mostly based in the Metro Manila. Are you Ready? Standby! 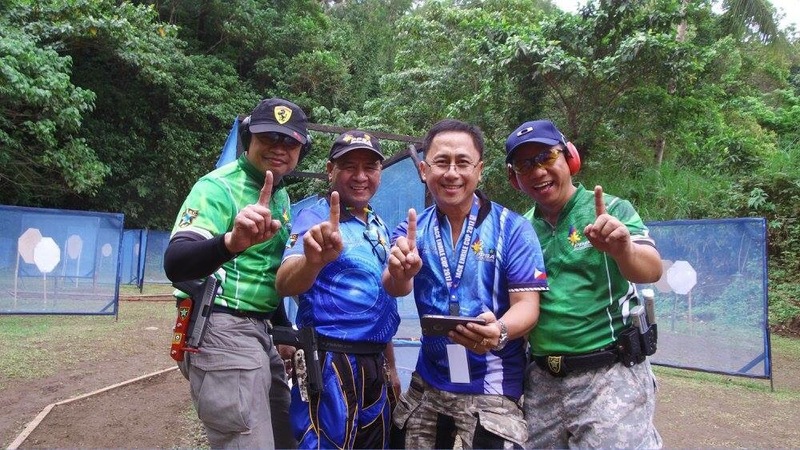 Thank you for the continuous support Philippine Practical Shooting Association (PPSA) especially to Mr. Jack Enrile, Mr. Rommel Cabungcal, Range Officers under the umbrella of National Range Officers Institute and to my fellow PPSA Media Bureau officers/members Raoul Esperas, Raymund Dadpaas, Angelo Almonte, Toots Parina and PPSA coordinator Jingky Olisco, Joseph Li of Icarus Shirts.